Since releasing their first 7-inch in 1989, Superchunk has run the gamut of milestone albums: early punk rock stompers, polished mid-career masterpieces, and lush, adventurous curveballs. 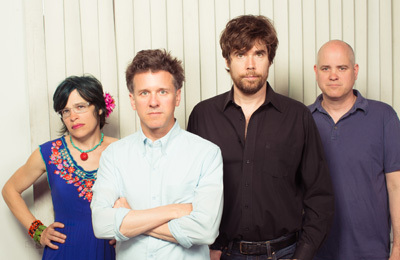 Conventional wisdom holds that a band two decades into its career can only rehash or reinvent, but Superchunk has done something entirely different. Neither a return nor a departure, their latest albums are the sound of youthful exuberance fine-tuned with grown-up confidence. For, of all bands, calling a record I Hate Music is too on-the-nose ironic to be particularly provocative: Its members have been immersed in music, and clearly in love with it, for virtually their entire lives. Singer Mac McCaughan, in particular, has made a huge string of vital albums with Superchunk and Portastatic — ten with the former, six with the latter, plus countless odds and ends with each — and runs Merge Records when he’s not jumping around and hollering like a kid one-third his age. I Hate Music follows 2010’s more appropriately titled Majesty Shredding, which itself followed an agonizing nine-year hiatus — and, like its predecessor, it finds the band bleating and blaring with giddy vitality. McCaughan may sing, “I hate music, what is it worth? / Can’t bring anyone back to this earth” (in the terrific “Me & You & Jackie Mittoo”), but he clearly understands the countless gifts it’s given him during his own time here. Infused with winning, strident energy, I Hate Music still fits in darker ruminations on age and aging — Superchunk’s sound remains versatile enough to accommodate both a 75-second whiff of brash punk (“Staying Home”) and a six-minute album-closer (“What Can We Do”) in which McCaughan reflects on nearly 30 years of adulthood with shrugging wisdom. Most importantly, I Hate Music is the sound of a veteran band with its vitality intact, for which fun and fury are essential components of a life thoughtfully lived.